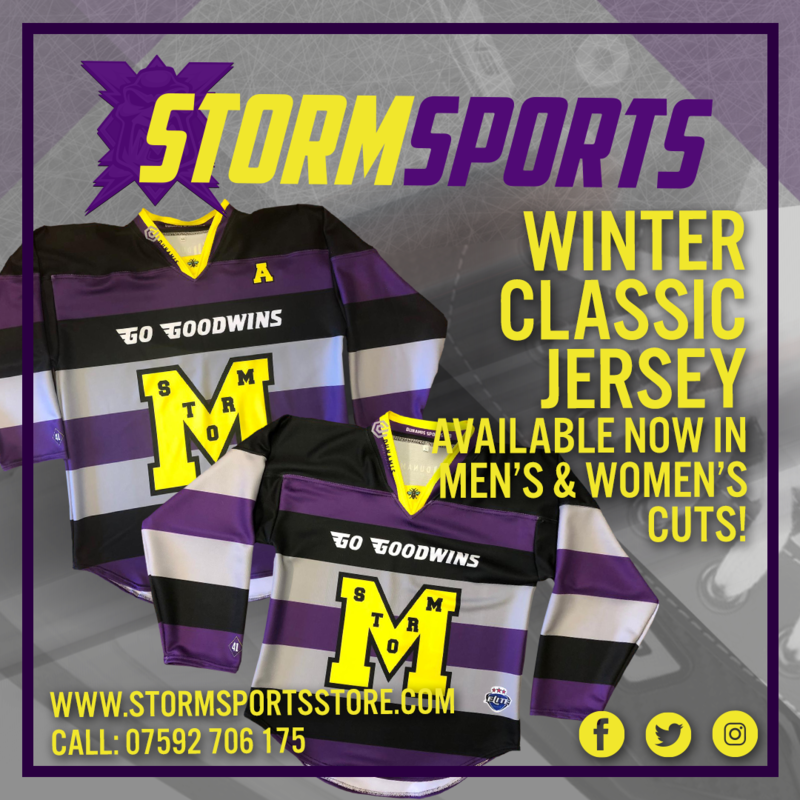 Your Go Goodwins Manchester Storm are delighted to announce that due to an incredible demand, the club will be selling “Winter Classic” replica jerseys. Ever since the jersey design was first announced on the run up to the sold out New Years Day game against Sheffield Steelers, there has been a popular demand for more – and we’re going to give you just that! With these Winter Classic jerseys not being the game worn jerseys, they will be sold at a reduced price of £60 for a blank jersey or £65 if you want a name and a number printed. They will be up online via Storm Sports Store from 5:00PM today! You can also visit Storm Sports Store at the rink and place an order at this Sunday’s game against visitors, Fife Flyers. We are also proud to be the first team across the UK and in the EIHL to be offer female cut ice hockey jerseys, thanks to our jersey supplier, Dunamis Sportswear. With Valentine’s Day only just over a month away, now would be the perfect time to order one. The OSC have just announced their next event, Storm Bingo – January 22nd, 7:00PM. Email [email protected] for more information! Look out for other events – from Ladies Night, to bowling.